Personal injuries can change your life. Winning a settlement or verdict can give you back some control over your future. The recovery you can secure with a lawsuit could give your family the financial stability to move forward after a car accident, slip and fall, workplace accident, dog bite, or other injury. Use these steps to file a personal injury lawsuit in Utah. Retain a Layton personal injury attorney to take care of the claims process for you and to maximize compensation. Learn about the claims process before you begin. One of the most important things to know is the deadline to bring your case to the courts. 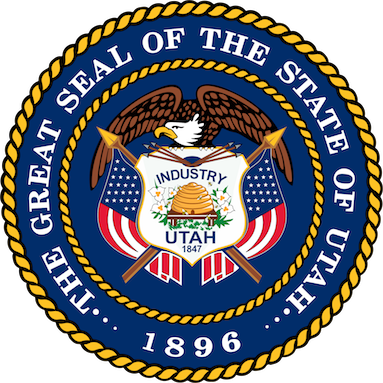 In Utah, the deadline (or statute of limitations) is four years from the date of the accident. If you’re seeking recovery from a government entity, you have only one year from the date of your accident to file a claim. You must meet your time limit for the courts to hear your case. Missing your deadline generally means losing your opportunity to recover. However, exceptions may exist, so speak with your attorney as soon as possible. Once you know how long you have to file, start by gathering information about your case. Begin this process from the scene of the accident, if possible. Take photographs of the scene and question bystanders and eyewitnesses. If you were in an auto accident, get the name and car insurance information of the other driver. Call the police from the scene if necessary, and write down the police report number. Request copies of your medical records relating to the injury, as well as any communications with insurers. Keep all your documents together. You need four main elements to have a personal injury claim in Utah: duty, breach, causation, and damages. Work with an attorney if you need help identifying these elements in your case. It will be up to you to prove that the other party (the defendant) owed you a duty of care during the accident, breached this duty by acting negligently or intentionally, and caused your accident. You will also need proof that you suffered real damages in the accident, such as personal injuries, medical bills, lost wages, and pain and suffering. These are all damages you could potentially recover. In some cases, the court might award punitive damages. In order for these to be given to the plaintiff, the defendant’s negligent behavior needed to be considered despicable or reprehensible. Now it’s time to file your claim. Visit the civil courthouse in the county in which your accident and injuries happened. Go to the small claims court if the value of your case is $10,000 or less. The court clerk will be able to give you the paperwork you need to fill out to bring your claim against the defendant. Fill this out fully and completely, with as much information as you can. The court will let the defendant know you’ve filed the claim, at which point the defendant may agree to enter into mediation and offer you a settlement or deny the claim. A claim denial may necessitate a court trial. A personal injury attorney makes filing a personal injury claim in Utah easy on you and your family. Schedule a free consultation with an attorney as soon as you can after a personal injury accident. Working with a lawyer from the start can strengthen your case, protect important evidence, and ensure your claim works the very first time.